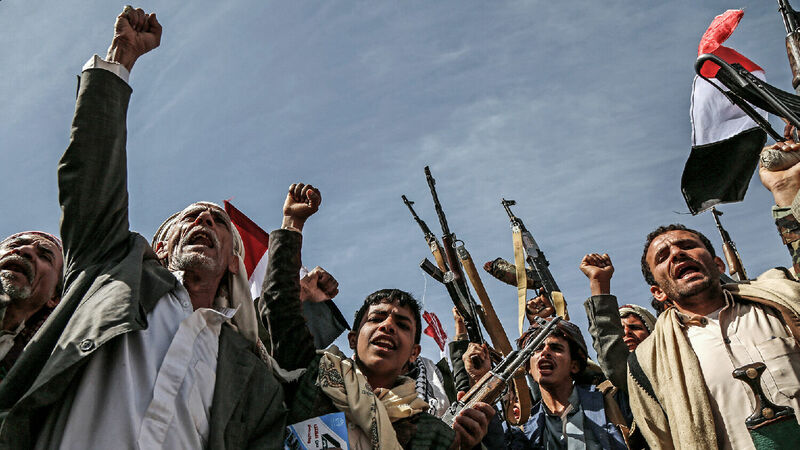 Yemeni men shout slogans during a rally organized by Iranian-backed Houthi rebels to commemorate the anniversary of the Saudi-led military campaign on Yemen. In Libya and Ethiopia in Prophecy, Trumpet editor in chief Gerald Flurry writes, “Yemen is already infested with terrorists. It is located on the Red Sea and the Gulf of Aden—and is another strategically powerful country if you are trying to control world trade.” That is exactly Iran’s strategy.